Eden 4mm Twin Wall Polycarbonate is the ultimate glazing choice for safety in family gardens. This is especially important in educational and public environments where children may be present and insurance may dictate that glass is not used. 4mm polycarbonate glazing gives the Countess amazing insulation and heat retention properties and is the glazing of choice in Europe above glass. 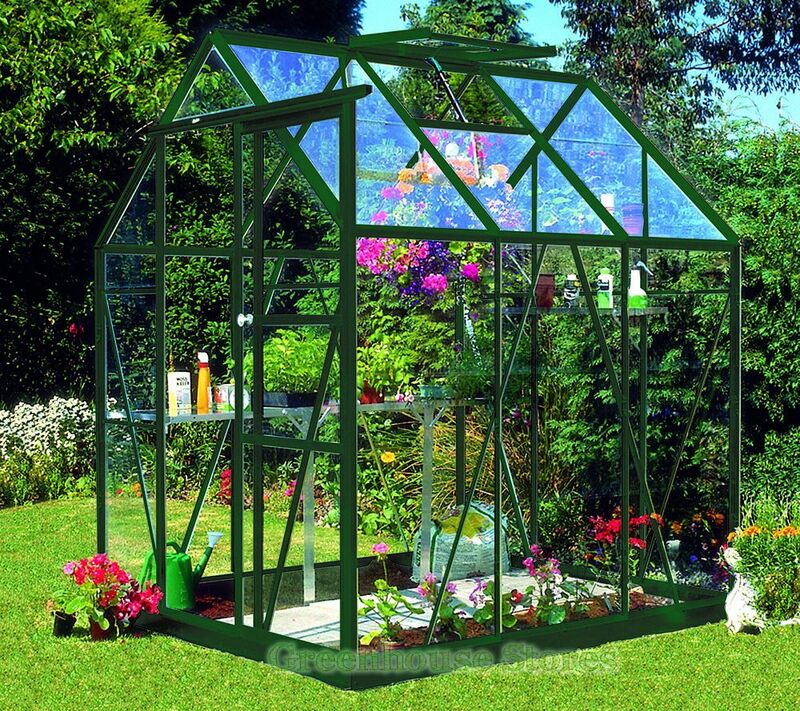 This Eden Countess Green 5x6 Greenhouse with polycarbonate glazing has 1 opening roof vent for ventilation, a single sliding door and integral gutters to collect rainwater.